Teens have their own ways of expressing themselves. That is surely a part of growing up. From the way they dress, to the way they carry themselves, you would at once notice how grown up they’d want to mean to us not to mention the way they want their Bedrooms to look like. Teenage girls might want their rooms to look preppy, perhaps pink or yellow but there are those who’d want to make their rooms look simple yet elegant. Teenage guys would eventually want to make their rooms look as sporty as they want or minimalistic for some while others want their rooms filled with stuff. 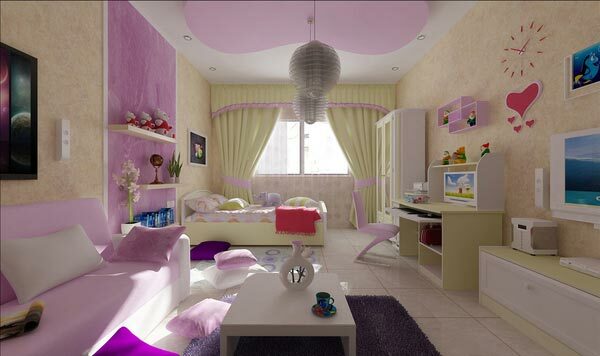 There are so many ways of expressing these teens’ personalities when it comes to their Bedroom Designs. This is what today’s post would be all about. Since there are so many designs out there, we want to narrow it down for you – Teens. Should you want cool stuff or simple room designs, this post is worth checking out. You might finally want to decide how you’d want your bedrooms to look like after seeing these 15 Cool Teen Bedroom Designs. The design has been rendered using 3Ds Max, Vray and Adobe Photoshop. 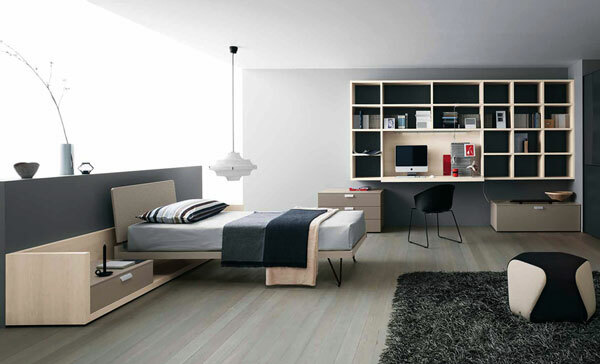 A minimalistic design of a wide bedroom space. The design is for a private villa in Cairo, Egypt. 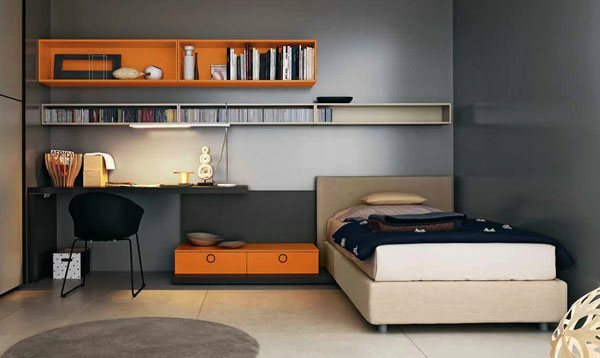 Notice another minimalistically designed room with a good choice of room color and furnitures. An elegantly teenager’s room in a private apartment. A camouflage inspired teen’s bedroom Benjamin Moore. A well-expressed double bed for two teenage girls. A Hawaiian inspired girl’s bedroom. An art lover’s teen room with creative stuff on the wall. A larger bed for this teen room design with stuff on the sides this time and windows at the far left end of the bedroom. The room is overlooking a magnificent view. This Teen’s bedroom design is ideal for houses located near scenic areas. Image: Benjamin Moore Another expression of self through this type of teen’s room design with a unique wall paint by the bed’s head board. Both minimalistic and partly classically designed teenage guy’s bedroom. 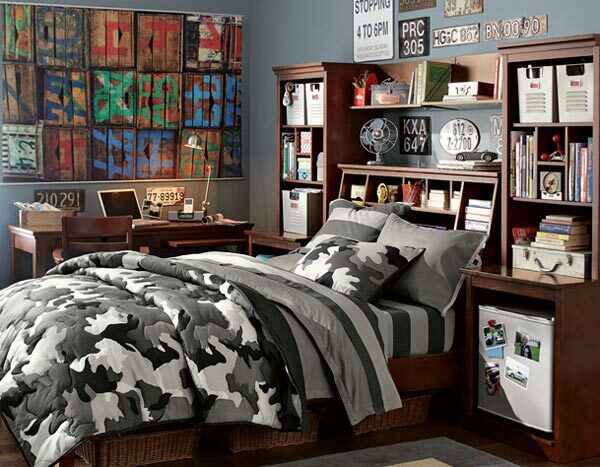 You’d at once notice that this bedroom belongs to a teen who’s into sports and music as well. This is an example of a limited space for a teen’s room but utilized elegantly with the arrangement of furnitures and color choice. Mentioned in the previous tips and even design inspirations for bedrooms, there are things to consider to finally decide what type of design your bedroom should have especially for Teens. 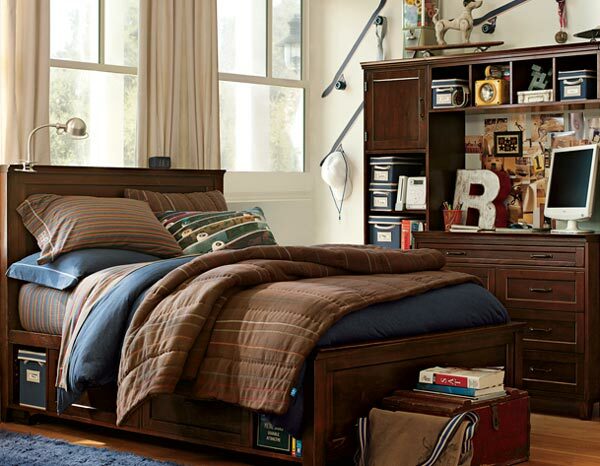 Teenagers would usually want a spacious room with so many stuff that they are into. Even when they aren’t that sporty or not into much music, for sure they have their own ways of expressing themselves. We sure hope that we were able to substantially share cool stuff of designs in this category. Well, as for you, what type of room have you been dreaming to have? In her desire to possess her own pink house, she searches for various ideas for her ideal home. Along with this dream, she creates interesting collections of Architectural and Interior designs not just for her own use but also to inspire other people to create their own dream homes, too. In Home Design Lover, she can start building this dream flared by her passion in writing.